Throughout my life, the hand of God has been there molding and shaping me into His perfect will. Bro. 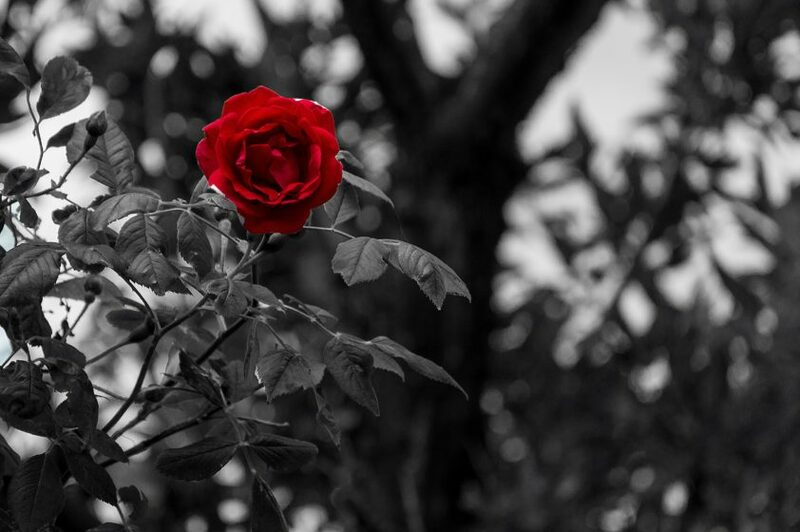 Timothy Spell sings a song “When God Unfolds The Rose” and that is where I am getting my title for this blog/article from. I was born to Pentecostal Parents making me a fourth generation Pentecostal. I cannot recall the first time feeling the presence of God as I was surrounded by that atmosphere from infancy on. I have always been tenderhearted and sensitive to the things of God and it was around 8 years old when I received the gift of the Holy Ghost and was baptized in Jesus’ Name. Not long after receiving the Holy Ghost my family went to a family reunion at my paternal grandparent’s house. I gathered up all of my cousins and had them meet in a bedroom and without my knowing it my grandfather tape recorded me preaching to my cousins. I do not remember what I said to them but I do remember a couple of my cousins wiping their eyes as they were leaving the room after I finished. I have always wanted to be used of God. When I was approx 10 years old a deaf couple started attending church and I was fascinated by the sign language interpreters. After church one night one of the interpreters spoke to my parents about me joining the deaf ministry – they had noticed my imitating their signing during service. My parents consented and even started having one of the interpreters come to the house to give me private lessons. I was blessed to interpret song service at the UPCI General Conference in Indianapolis Indiana when I was 13 years old. Two years later my family relocated to another city to work in Home Missions with my cousins who were starting up a church. What a difference it was for us to leave a large youth group in a big church to go to a church that had 7 young people and about 11 Adults and 1 baby. However, I still know that it was still God molding my life. I have had such a burden for Home Missions ever since. When I was a senior in High School I was looking for a job and I asked for a job application at a local library branch close by my house, and the librarian looked at me sharply while asking how I knew they were hiring. I informed her that I didn’t know but that I had just felt the urge to apply. I got the job as Paige on the spot. When I felt like it was time to leave home and spread my wings so to speak, I was undecided about what to do with my life. I had wanted to attend a Bible College but my family really didn’t have the money for that and my mother suggested me going to Kansas where her sister and husband pastored a church. I had been to Kansas a couple of times visiting and really enjoyed it, so I wrote my cousin and asked her opinion about my coming and maybe getting an apartment with a girl I had met there several summers before. My cousin showed my aunt the letter and the next thing I knew my aunt was on the phone talking to my mother and I and saying she wanted me to stay in the Parsonage with them and that they had a room already for me. I remember like it was yesterday flying there and them meeting me at the airport. My only earthly possessions were in my footlocker and one carry on bag. Within a few days, I had settled in and my pastor/uncle took me to see about a job at the library there. I had sent my resume on before me, and they were going to hire me, but I declined when I found out they wanted me to work on Sunday afternoons. So we went to a few more places (actually I only remember going to one other place) and the very next day I was called to go to work. During the next year, a lot of things happened. A young man who had grown up in that church had moved away and now was coming back. He temporarily began living in the evangelist quarters in the church basement. Needless to say, we started dating and within the year we were married. He was appointed as the church youth leader and we had 13 wonderful years in that position. Not long after our wedding, I saw an ad in the help wanted a section of our paper for an interpreter for the deaf and so I started working in our public school system. That job led me to become an LD paraprofessional. I quit working for awhile to be a full-time mother. When the money got tight I begin looking in the help wanted section again. This time I saw a job for an activity aide in a Nursing Home. This was an evening position and so I could be at home in the day and my husband home in the evenings. I loved that job and never could fully comprehend that I was actually working. It was so much fun. I quit this job and had two more children. But later when I needed a job again, I called my former boss, and I didn’t even know that they were needing an activity aide again, but God did. This time I was able to take my children to work with me (Eden Alternative) and the residents loved them. We would put on puppet shows and have church services and Bible quizzes and all sorts of activities. Again, I couldn’t believe I was getting paid to do, what I would have been happy doing as a volunteer…. but God knew what we needed. By now the kids were in school and so when a deaf woman I had met in the community, approached me about being her interpreter for a college computer class that she had signed up for – I agreed. This led to my being an educational interpreter for the community college for several years. I had always wanted to go to college, but couldn’t afford to, but now I was actually getting paid to learn. There were several other deaf students that attended the college and I was asked to interpret for them as well. (I got to interpret Algebra, Principals of Animal Science, Computer classes, Art class, Criminal Justice, and other exciting things that I was always glad to learn about). I also learned a lot more sign language during this time, because if I didn’t know a sign, I could fingerspell it, and the deaf student would show me the sign if there was one. When I had finished interpreting for the deaf students I was assigned to, I was approached to be a scribe/interpreter for a hearing man that had cerebral palsy. I was to take notes and be his hands in his classes, and since I was able to understand him when he talked I would relate what he said to the class. That was another awesome opportunity, as he took many computer classes and instead of me sitting facing the students, this time I sat by the student and actually got to work the computer and show him what to do. I learned all about word processing and databases and about the internet and HTML, and I got paid. I know it was God. The nursing home where I was still activity aide was losing their music therapist and therefore wouldn’t have someone to direct their chime choir. So I was asked to do it. I had no former training in doing this, and I could barely read music. My first effort at it was quite awful, but I went home and carefully wrote out all the music in a way that I could understand and made flashcards of all the letters of the chime notes and then when it was time for chime choir the next day I put the flash cards where I could see them and I would point to the person with that chime and they would play it. It worked out perfectly and several months later we were ready for our concert at the faculty/staff dinner in the chapel. That was so much fun. Then the nursing home got a new administrator and they were needing to cut budget. As this nursing home was the only nursing home in the area that offered evening activities, that was one of the first changes they were going to make, and so my boss didn’t want to lose me and they were trying to find a day position for me maybe as a CNA or something. But I didn’t have CNA training and I really wasn’t interested in doing that, but God had another solution…. us relocating to TN. So our family packed up and moved over the Christmas break and my children started back to school in another Christian School that also used the same ACE curriculum. This school had an opening for a School Secretary and with all of my hands on computer experience I had gotten from college I got the job. It was great being at school with my kids every day. I had also worked some (off and on) in our Christian school before we moved, but now I was with the girls everyday. This eventually led to me doing other things in the school, including teaching elective classes like home ec, sign language and music. Then I started teaching private music lessons at the school. This led to me making a web page about my lessons and one day I got a phone call from a woman who had been looking for a Pentecostal Music teacher to teach some of the students in their church. First several began coming to my house for lessons, and then one woman asked if I would consider going to their church to teach and they thought they could get me more lessons that way. I consented and got a lot more lessons. Around this same time some things were happening at our school and my girls were begging me to start homeschooling them. I had wanted to for always, but had needed to work and so I couldn’t. But now I could. So Five Star Academy was born. So between Homeschooling and teaching music lessons I was really busy, and very fulfilled in all areas but one. I was unhappy in my spirit because I was not being used of God in the ministry at church like I had deep desire to be, and I would come home and cry myself to sleep every night. Then I remembered that about six months before this a woman had asked me if I knew of someone or if I would be willing to come and be the pianist at their country church on Sunday Mornings. At the time I had been pretty active in the music ministry at my church and so I hadn’t really considered it… but now, I became very interested and so I asked my husband and my pastor if I could and they both said yes. So for 3 years now I have been pianist at a small country missionary baptist church and they say I am a blessing to them, but they are really blessing me by letting me be used of God in this fashion. The woman who asked me if I would play the piano started giving me $25 a week. Then the church learned about it, and said that they wanted to pay me instead. (This is kind of off the subject but goes along with the hand of God working things out. One day I was at a Flea Market and saw a sign that said Booth for rent. I felt impressed to rent that space for our PenTeenCostal Fashion and Design business that the girls and I were starting. The booth was $100 a month, and I didn’t really know if I could afford it, but I felt like God wanted me to and so I did. The very next week when I was getting my check for being pianist, I noticed it was double what they normally pay me, and I was told that it was a new year and that is what they are paying me now. It exactly covered my booth rent.) Since that time I really have not worked my booth like I should and we haven’t seen much profit, but I still know I obeyed God and that my having a booth there is helping two elderly women who run the place. Somewhere in this story I have left out details about a phone call I received one day from our local college. They needed an interpreter and could not find one anywhere, but someone had given them my number and would I be available? I told them that I would love to and they asked me how much I charged? I told them that I had heard the going rate around this area was $18 per hour. The woman told me that she and her boss had already agreed on $20 an hour. And so I am back to being an educational interpreter and getting paid to learn again. (This year will be my 12th year of college. I interpret classes like Speech, Bible, Marketing, Finances, Statistics, and Psychology. I love it.) Also, several years ago I ran across a woman who interpreted for the deaf at another church and she was wanting to have a deaf conference and would I help her… I was glad to do that, and in the process I have met quite a few deaf people. We also would go around to various Pentecostal Churches and help them to get deaf ministries started. This lead me to Calvary Church ministries in Jackson. One of the deaf men that I met through this interpreter lives in Jackson and so I started interpreting services for him there at Calvary Church Ministries. He is unable to attend every service, but God still has other work for me to do there…. one night our Pastor’s wife came up to me and told me she had a dream that I was playing the organ. Since then I play the organ on the nights that the deaf man doesn’t come to church. About three years ago my daughter and I were singing at our community bar-b-que festival and a man approached me about us making a CD. He told me that he and some friends had a recording studio and they could do a project for us for $2,000. I have been around enough to know that $2,000 is very reasonable for a recording. But I still didn’t have the money and so I just took his business card and basically forgot about it. I spent all of 2004 writing 3 songs a day and in 2005 I had compiled all of my lyrics and poems over the past 25 years and had them published (Lyrics and Poems: The Melody Of My Soul Vol I, II.) Then after God opened up the door for me to interpret at the college, I realized that I would have the money for the CD project, and so I found that card and called the man. I took 9 of the songs from my book and one new song that God had just given me and we (The New Dimension Family Band made a CD (God Said Yes) featuring my oldest daughter. Now that my nest is becoming empty I am even more thankful everyday that we made that project. God has put the right people in my life, and opened up doors for me. If you know me, you know I am very limited in my abilities and I have to struggle to do anything well. But God still takes what I have to offer and uses it to His glory. I sincerely believe that Little Is Much When God Is It It. And everything I do, I do for Him. (I don’t really know how to fit it in my story, but He also has allowed me to meet various people through my nursing home services and Word Weavers Writing Group and other community events that have rounded out even more the opportunities and ministries that I am involved in. HazelwoodUSA (my podcast) was born out of a desire to have my own radio program, but I thought that was just a pipe dream until one of the instructors at the college was recording her class for a podcast – that was the first time I had heard of such a thing, and so I begin looking into it, and now I have my own. God has been so good to me and I thank Him everyday for His many blessings and for His love for me. Also, at least once every day I find a coin. I might be out walking, cleaning house, in my yard, doing laundry, in the car, at the store, etc. and I find a coin.. mostly pennies, but always I pick it up and say “In God I Trust.” I know it is God who gives me opportunities to create wealth. But I don’t want the money for me. All the sales from our CD project are for my oldest daughter. All the sales from my book are for my mom and dad (I would love to buy them a house someday). The sales from PenTeenCostal Fashion and Design will be for missionary trips. I am looking forward to the day I can be in a grocery store or perhaps a Wal-mart and see someone who obviously is struggling financially (probably an older person) and as they are counting out their money to try to make it to the total, or maybe thinking to have to put something back, I am going to reach over and hand the cashier all of the money, and say, “I’ve got this” and let the customer keep all of their money. Oh, I want to do that so bad! And I believe God is going to let me do this someday soon. To Him be all the glory! When you look at me, I am NOT a self-made woman. I am NOT self-sufficient. I am 100% God made, and 100% God-sufficient. I can’t do one thing without Him. I pray when I cook that it will turn out good. I pray when I drive that God will keep His hand on me. I pray when I sew that God will give me creative ideas. I pray when I sing and play music that God will anoint me. When you look at me, you see the Evidence of His Unfolding of the Rose.